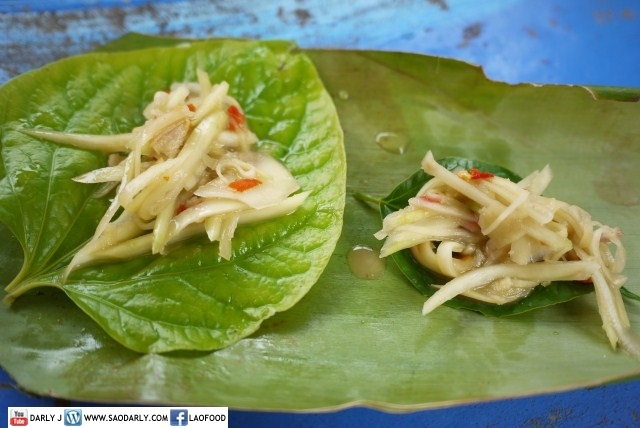 When I was in Laos last year, I was introduced to Green Mango Salad with Phak I Leut and Mak Len Mai Leaf. 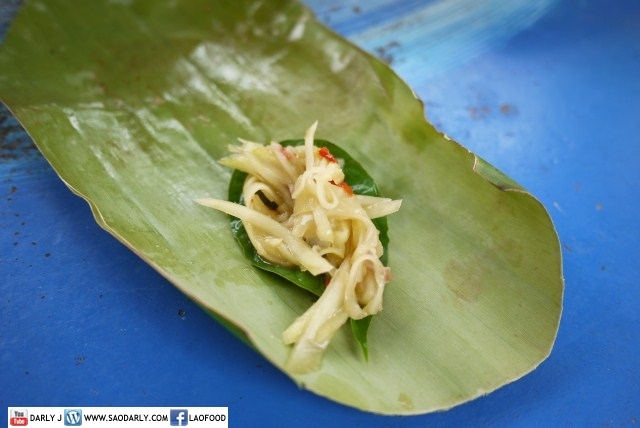 I bought a handful of Mak Len Mai Leaf at the Morning Market in Luang Prabang and took it home to my relatives. 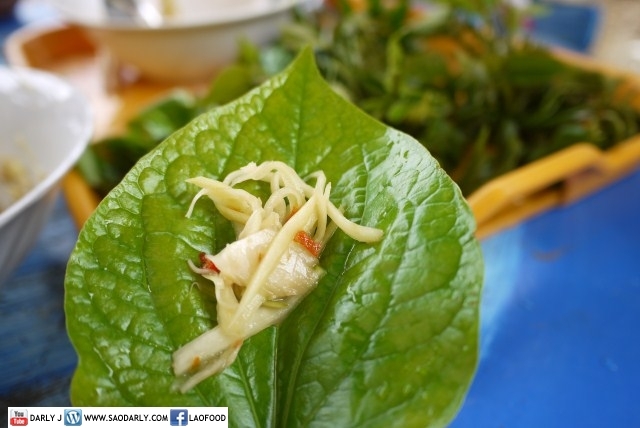 They told me the leaf is delicious with Tam Mak Muang (Green Mango Salad) and will show me how to eat it. They also told me the salad makes a perfect companion to Phak I Leut. 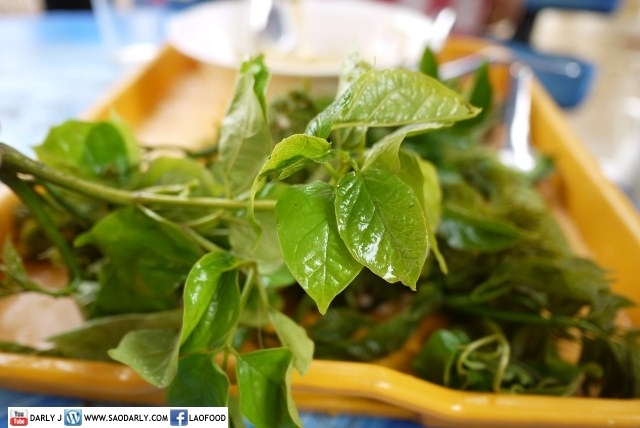 I ate the green mango salad with Phak I Leut or Pak Eelerd (ຜັກອີ່ເລີດ) and Mak Len Mai Leaf and really like it. 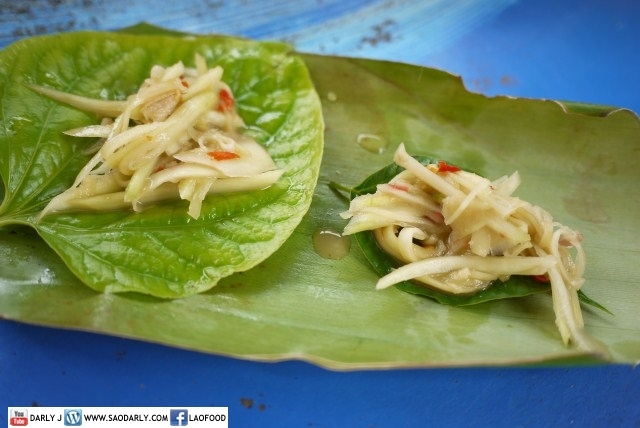 Of course my relatives and I talked about how we should now refer to Phak I Leut as Phak Nang Lerd. 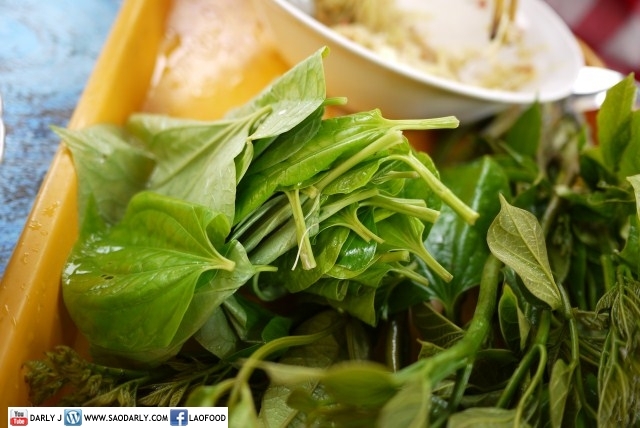 Nang is a proper term for Lao female as oppose to Ee.